Dong Quai, or Angelica sinensis, is often considered the female Ginseng and is a traditional herb for women. 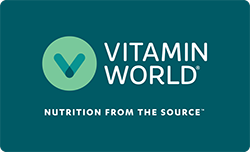 Vitamin World’s Whole Herb products utilizes ground plant parts to provide the plant constituents found in nature. Directions: For adults, take one (1) capsule four to six times daily, preferably with meals. Capsule may be opened and prepared as a tea. Dong Quai 530mg is rated 5.0 out of 5 by 1. Rated 5 out of 5 by Nicole25 from Great product The West Covina location has amazing above and beyond customer service, Staff is knowledgeable and very friendly! The production was just what I needed and great quality!